Home » Topics » Container Ecosystems » Happy Sixth Birthday, Docker! March 18, 2019 March 18, 2019 Mike Vizard containers, distributed applications, docker, Docker Inc. Anyone who says six years ago they fully appreciated the impact Docker containers would have on IT probably isn’t being entirely truthful. But as Docker celebrates its official sixth birthday today, it’s clear just how much Docker containers are transforming almost every aspect of IT. Today Docker Inc. claims the are more than 2 million developers using Docker Desktop to create applications. All told, there have been 85 billion downloads of Docker containers and Docker Inc. estimates that more than 700 companies are in some way benefiting from applications built using Docker Enterprise. Industry analysts have projected the Docker ecosystem will be valued at more than $4.3 billion by 2022. It’s an impressive achievement in just six years, but it’s only the end of the beginning. Scott Johnston, chief product officer for Docker Inc., says the major challenge now is exposing the rest of the estimated 14 million enterprise developers who have yet to embrace Docker containers. Achieving that goal will require building tools that enable Docker containers to be more accessible to developers who prefer to work at higher levels of abstractions, says Johnston. One of the things not as appreciated as much as perhaps it should be is the role Docker containers have played in reducing the complexity associated with building distributed applications, notes Johnston. As application development tools for Docker container platform become more sophisticated, the ability to build distributed applications spanning the network edge to the cloud will get easier, he says. In fact, that capability will not only make it easier to build distributed applications, it also will enable IT organizations to build applications that previously would not have been feasible; because in most cases, developers will be assembling applications using reusable code residing in Docker containers, says Johnston. Finally, Docker containers will also play a critical role in making various classes of new processor types, such as graphics processor units (GPUs), accessible to developers in the cloud and the network edge, he adds. It’s arguable that too much of the focus over the past six years has been on container runtimes and the platforms they run on. But as organizations come to appreciate the inherent flexibility of microservices-based applications based on containers, there’s no doubt most new applications will rely heavily on containers. 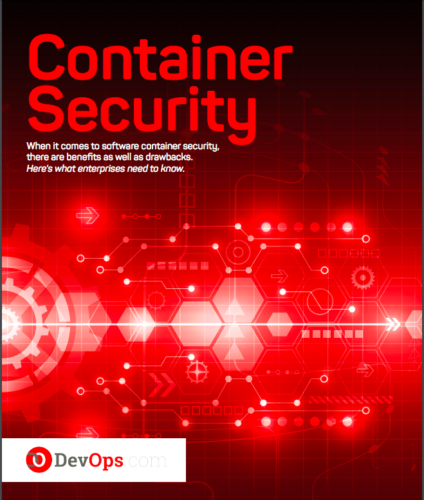 In most cases now, the challenge is not so much understanding how to employ containers, but rather implementing the best DevOps practices required to deploy, secure and manage them. After all, containers are, by definition, an ephemeral atomic unit of computing that enables developers to rip and replace functionality almost at will. Not everyone in IT may fully appreciate the power of Docker containers just yet. But by the time the technology turns seven next year, it’s a pretty good bet that almost every IT operations and security function will be in the process of being transformed in some way because of increased deployments of containers. The current issue is coming to terms with the pace that transition is about to accelerate.